Sonu Nigam, much to my expectations, sang Rafi songs very normally. In fact, I would rate him much much lower than what he used to sing when he came in about 13years ago through Saregama. His voice has conspicuously deteriorated with his singing all types of medlee/Hindi pop songs and of that sort. He was always a fast singer and now-a-days with his singing Hindi pop and medlees, he is even faster. His first song Yaad Na Jaaye from Dil Ek Mandir was like traveling in Nilgiri Express, while the original song by Rafi is slow deep expressive and extremely emotional. This was the general pattern in which Sonu has been singing these days with his impatient attitude to sing slow numbers very fast is very painful. “Muje Teri Mohabbat Ka” from Aap Aaye bahar Aaye” was again a deep number with full of rhythm and Sonu sang like a breeze..
Rafi songs are predominantly slow with rhythm and with so much of labour in his singing â€“ be it depth, dard, range, voice modulation, expression, emotion and what have you. I was however amazed with the orchestral excellence with the british national giving interlude music to the T. The 75 piece orchestra was par excellence and I could not find anything different from the original music by the composers. Indian orchestra bands doing shows should take this as an example to see how well the symphony was directed and delivered. Another wonderful experience â€“ nothing like original and natural instruments â€“ playing with a 30 team violin for the right interlude music was way way ahead of playing the same tunes today on a key board. I thoroughly enjoyed the orchestra and was really a treat. This entry was posted on Sunday, September 28th, 2008 at 11:27 am	and is filed under Meri Awaaz Suno. You can follow any responses to this entry through the RSS 2.0 feed. You can leave a response, or trackback from your own site. Sonu is the worst singer I have ever heard. He is an example of how media can hype someone who hardly has any talent. 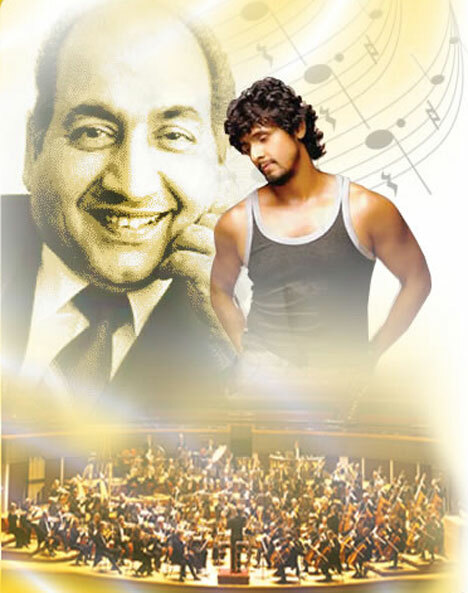 I had attended this concert in London in 2008. It was a very irritating experience. Sonu is a just an ordinary singer. I wonder how he sounds good in the studio. Technology I guess. Eeeek… Sonu is such an awful singer. How can you guys consider Sonu Nigam as a singer? He is more of a mimicry artist. He has no class. Eeeeek… Sonu Nigam… Terrible voice. No knowledge about music.